Since it started in 2009, Uber has become one of the most popular ride-hailing services. Over the years, it has made several changes in the services offered. 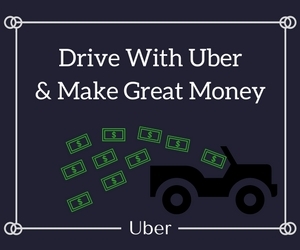 These changes have not only made life extremely easy for the passengers, but they have also helped Uber drivers make more money. The company has now introduced an option for passengers to make multiple stops while on a trip, which is a great advantage for the riders. The multiple stops option makes it extremely easy for a passenger to stop or pick up friends from various locations. The Uber app now allows you to add up to three stops and make any changes you want during the course of the trip. That option lets you remove any of the addresses and add new ones as required. This feature offers plenty of convenience to the user. You could enter only a single destination into the app. If you had to go to another place, upon reaching the destination, you could delete it and enter the next place. Now, you can book an Uber ride including up to three stops. You can enter those stops before the ride begins or request the stops even when the ride is in progress, removing stress from last-minute travel changes. First, access the most recent version of the Uber app and tap on the “Where to” option, which will open two boxes that you need to fill in. Ensure that the “Pickup Location” is where you need to be picked up. To modify the pickup location displayed as your “Current Location,” select the dialog box located at the top and change it to your desired location. Tap the “+” sign next to the “Where to.” This will activate the feature which enables you to add an additional stop to the list of stops. The “Where to” option will change to “Add a stop” and another stop will be added to your list. Tap on the “Add a stop” field and fill in the details. Type the address of your destination into the box that says “Where to” or select the address from the “Saved Places” list. Additionally, you can select a destination from the list of places that appear under the top two items. Next, select the “Add a stop” box to choose the next stop. If you want a third stop, then you can add another stop by adding to the final dialog box. Next, select the Uber package you prefer, as Uber has various types of transport options with different costs, which are listed in the Uber map interface. The options you get depends on your location. Then, tap the “Request” option and wait for your cab to arrive. You will be able to see the ETA next to the driver’s details. You can add the stops either when you are requesting the ride or when you are in the middle of the ride in real time. During the trip, you can add and remove stops manually from the on-trip screen, which is accessible from your Uber app’s home screen. Once you enter the details, the driver’s app automatically receives the directions to each of the stops you want to make or the changes in the directions. All you need to do is sit back and enjoy the ride. If you plan to use the multiple stops feature of Uber, you should be ready to pay more for the ride as Uber calculates fares on basis of the distance and the time. Since the stops take up more time, you can expect the fare to be higher. Other surcharges, taxes, and adjustments may also be applicable to the final fare. The fare is calculated for a stop of 3 minutes or less. If the stop is more than 3 minutes, then your fare may change. If you are planning to split your fare with your co-passengers, you can do that as well, even with the inclusion of the additional stops. However, the fare cannot be split by the cost of each of the stops; it can only be split by the total fare of the complete ride. The multiple stops feature is available in most of the cities where Uber operates. You can check your Uber app for details. The multiple stops feature is available round-the-clock in Uber’s participating cities. As an Uber driver, you can see the entire route of the passenger along with the stops in your Uber driver app. The app allows the passenger to pick two stops on the way along with the final destination. If the passenger adds or changes the destination mid-way, the change will reflect in the app automatically. When all your passengers are ready to leave, just swipe to start the trip and drive to the next stop. Once you have reached one of the added destinations, then you need to swipe the “Confirm stop” option, and you will get routed to the next stop. In the case that you are making use of the out-of-app navigation, you must open the Uber Driver’s app and swipe the “Confirm stop” option on the app to get directions to the next stop. Uber’s new multiple stops feature is simple to use and convenient for both drivers and riders. With the ability to make up to 3 stops, you can hop into an Uber and pick up your pals on the way. If you’re heading back home after a night out, Uber makes it much easier to ride together.